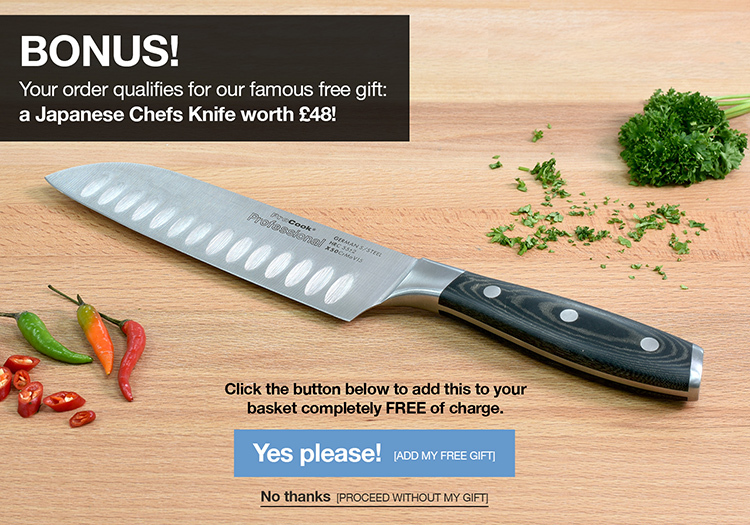 All orders with ProCook are covered by a 30 day, no-quibble, money back guarantee. In the unlikely event that you are not delighted with your purchase, you can return items bought in store or online to any of our UK stores or direct to our Customer Service Team. We are happy to refund goods which are returned within 30 days from date of purchase provided they are unused, in their original packaging and with a valid proof of purchase. You can return ProCook items to any of our UK stores within 30 days from date of purchase provided they are unused, in their original packaging and with a valid proof of purchase (either a store receipt, email receipt or order confirmation email). We are happy to refund or exchange goods purchased online in any of our stores. You can return items purchased both online and in store to our Customer Service Team providing you have a valid proof of purchase. Call us on 0330 100 1010 or email care@procook.co.uk to arrange a return. Do I need to keep my receipt? While we endeavour to maintain historical records of all our customers' online transactions, we ask all customers (both online and in store) to retain proof of purchase in the form of invoice or till receipt, as this will be required in the event of any returns subsequently made during the guarantee period. Please note that any returns taken into our stores will require proof of purchase in all instances. If your goods are faulty upon delivery or develop a fault within the first 30 days, we will refund or replace them free of charge, including the cost of shipping the replacement goods. Please note that you must notify our Customer Service Team of the fault inside the 30 day period via care@procook.co.uk or by calling 0330 100 1010. If you do not notify our Customer Service Team within the 30 day period your guarantee may be void. If your goods develop a fault after 30 days please refer to our guarantee page. All ProCook products have guarantee periods of between 12 months and 25 years and, if faulty, can be returned for a replacement within this period. Please refer to our guarantee information for details of your guarantee length. If you feel your goods have developed a fault within the guarantee period, please contact our Customer Service Team via care@procook.co.uk or 0330 100 1010, ideally providing a photograph of the fault. In the event of an individual item within a set being faulty, we will replace the specific item, not the entire set.